Supercom Ltd (NASDAQ: SPCB) shares surged 36.26 percent to close at $3.72 after the company reported strong results for its third quarter. Capella Education Company (NASDAQ: CPLA) shares jumped 30.46 percent to close at $85.45. Strayer Education and Capella Education agreed to an all-stock merger. Capella Education also posted upbeat quarterly earnings. Micronet Enertec Technologies Inc (NASDAQ: MICT) jumped 30.41 percent to close at $0.879 after the company reported a $3.1 million order for its SmartHub-TREQr5 product. CalAtlantic Group Inc (NYSE: CAA) rose 21.31 percent to close at $49.07. Lennar Corporation (NYSE: LEN) and CalAtlantic reported a merger agreement in a stock transaction valued at $9.3 billion. Transenterix Inc (NASDAQ: TRXC) shares climbed 21.10 percent to close at $2.87 after declining 17.13 percent on Friday. Adamas Pharmaceuticals Inc (NASDAQ: ADMS) climbed 21.01 percent to close at $23.61. Evercore ISI initiated coverage on Adamas Pharmaceuticals with an Outperform rating. Adamas is expected to release Q3 results on November 2. Xunlei Ltd (NASDAQ: XNET) shares gained 17.15 percent to close at $9.36. Cancer Genetics Inc (NASDAQ: CGIX) gained 16.36 percent to close at $3.20 as the company Co. announced the launch of AntigenID. MYnd Analytics Inc (NASDAQ: MYND) shares rose 16.05 percent to close at $4.05. CARDIOME PHARMA CORP (NASDAQ: CRME) shares climbed 14.5 percent to close at $1.50. Cardiome reported the commercial launch of Xydalba in three new European geographies. Precision Drilling Corp (USA) (NYSE: PDS) shares gained 14.17 percent to close at $2.90. On Friday, Precision Drilling reported a Q3 loss of $0.09 per share on sales of $315 million. Mustang Bio Inc (NASDAQ: MBIO) shares rose 13.14 percent to close at $9.99. Mustang Bio announced a new CAR T cell therapy manufacturing facility. 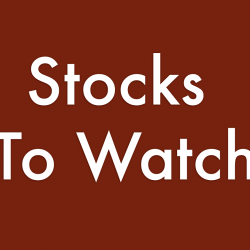 CARBO Ceramics Inc. (NYSE: CRR) shares gained 12.59 percent to close at $ 7.87 on Monday. Global Blood Therapeutics Inc (NASDAQ: GBT) shares jumped 12.52 percent to close at $38.65 on Monday. Global Blood Therapeutics announced the presentation of case study demonstrating positive effect of voxelotor (GBT440) in a sickle cell disease patient with severe and symptomatic anemia. Mid-Con Energy Partners LP (NASDAQ: MCEP) shares rose 11.11 percent to close at $1.10. Advanced Accelerator Application SA(ADR) (NASDAQ: AAAP) shares gained 10.41 percent to close at $80.50 after Novartis announced plans to acquire Advanced Accelerator Applications for $3.9 billion. Diamond Offshore Drilling Inc (NYSE: DO) rose 9.49 percent to close at $17.31 after the company posted better-than-expected Q3 results. Strayer Education Inc (NASDAQ: STRA) gained 9.02 percent to close at $100.00. Strayer Education and Capella Education agreed to an all-stock merger. Real Goods Solar, Inc. (NASDAQ: RGSE) shares rose 6.57 percent to close at $2.27 amid Chatroom Chatter that Tesla is in talks with the company related to nationwide roll-out and $250 million investment. Dynegy Inc. (NYSE: DYN) rose 5.61 percent to close at $11.85. Vistra Energy Corp (NYSE: VST) and Dynegy agreed to merge in an all-stock transaction. Iconix Brand Group Inc (NASDAQ: ICON) shares dipped 62.32 percent to close at $1.85 as the company issued a business update and reported amendment to its term loan. The company announced the winding down of the DanskinNow brand at Walmart, and the dismissal of pending securities class action lawsuits filed against the company. Dragon Victory International Ltd (NASDAQ: LYL) shares dropped 23.30 percent to close at $6.98 on Monday. Office Depot Inc (NASDAQ: ODP) tumbled 18.28 percent to close at $3.04. JP Morgan downgraded Office Depot from Neutral to Underweight. Aviragen Therapeutics Inc (NASDAQ: AVIR) shares dropped 18.06 percent to close at $0.680. Aviragen Therapeutics and Vaxart entered into a merger agreement. Helios and Matheson Analytics Inc (NASDAQ: HMNY) shares fell 15.92 percent to close at $9.03 on Monday. ContraVir Pharmaceuticals Inc (NASDAQ: CTRV) shares dropped 15.75 percent to close at $0.520 on Monday. Cenveo, Inc. (NASDAQ: CVO) shares dipped 15 percent to close at $1.19 on Monday. Pluristem Therapeutics Inc. (NASDAQ: PSTI) slipped 14.72 percent to close at $1.68. Pluristem proposed to launch up to 9 million share public offering of common stock on the Tel Aviv Stock Exchange after concluding Israeli institutional investors tender. Bon-Ton Stores Inc (NASDAQ: BONT) shares declined 14.43 percent to close at $0.830 on Monday after jumping 32.9 percent on Friday. Achieve Life Sciences Inc (NASDAQ: ACHV) shares slipped 12.56 percent to close at $1.81. Gravity Co., LTD. (ADR) (NASDAQ: GRVY) shares fell 12.45 percent to close at $49.30 following Q3 results. Gravity posted Q3 earnings of $0.34 per share on sales of $20.76 million. Social Reality Inc (NASDAQ: SRAX) shares declined 12.44 percent to close at $3.38 on Monday. AudioCodes Ltd. (NASDAQ: AUDC) shares dropped 11.81 percent to close at $6.72. Giga-tronics, Incorporated (NASDAQ: GIGA) shares declined 11.61 percent to close at $0.415. Century Aluminum Co (NASDAQ: CENX) dropped 11.07 percent to close at $13.50. JP Morgan downgraded Century Aluminum from Overweight to Neutral. Pain Therapeutics, Inc. (NASDAQ: PTIE) shares fell 10.34 percent to close at $3.47 on Monday. Pain Therapeutics announced a pre-NDA guidance meeting with the FDA on November 14th for the re-submission of an NDA for REMOXY ER. Cooper Tire & Rubber Co (NYSE: CTB) shares declined 9.93 percent to close at $32.20. Cooper Tire reported upbeat earnings for its third quarter, while sales missed estimates. Advanced Micro Devices, Inc. (NASDAQ: AMD) fell 8.02 percent to close at $10.89. Morgan Stanley downgraded AMD from Equal-Weight to Underweight. J C Penney Company Inc (NYSE: JCP) shares declined 8.01 percent to close at $2.87. Citigroup downgraded JC Penney from Neutral to Sell. Merck & Co., Inc. (NYSE: MRK) slipped 6.06 percent to close at $54.71, after the company disclosed that it has withdrawn KEYTRUDA European application. Morgan Stanley downgraded Merck from Overweight to Equal-Weight.